Embellished Chanukkah gift cards, Pack of 8 identical cards and envelopes. 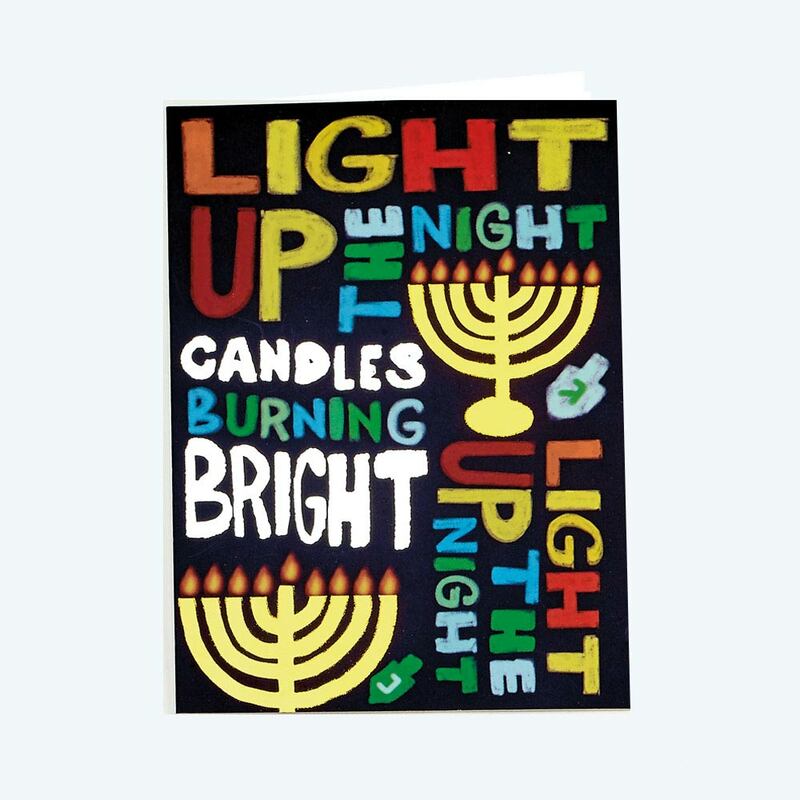 Use these cards to address a meaningful gift or just mail an Enlightening message to a loved you during the Festival of Lights. Comes with a warm seasonal greeting that reads "May Your Chanukah Be Filled With Bright Light And Warmth! ".